Party O' Clock - Party Rentals for weddings, parties and events. Party O'Clock's customized entertainment experience will create the perfect wedding, party, or corporate event. Party O’Clock’s customized entertainment experience will create the perfect wedding, party, or corporate event. 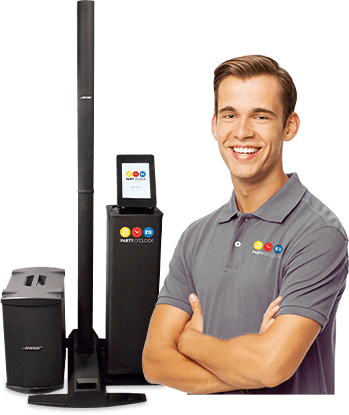 With our DJ Jukebox service, video & photo booth, and festive add-ons, Party O’Clock is your one-stop premiere party provider. Party O'Clock's affordable party rentals maximize the fun, not the budget, for your next event. A DJ that plays the music you want to hear. Our Party O’Clock DJ runs the show, you and your guests pick the music. We put you in control of the party! All the benefits of a traditional DJ without the top-of-the line price tag. Our premium "pull the curtain" video & photo booth will create customized photo strips that include personalized logos or messages. Guests can even record video clips and forever remember how much they loved the party. Lights! Camera! Action! 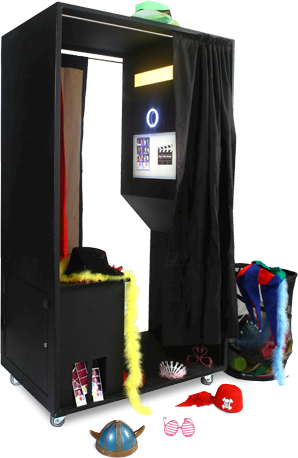 Create unforgettable memories with a Video & Photo Booth. Remember the joy of taking pictures with your Polaroid camera when you were younger? 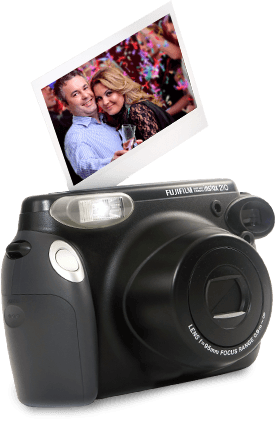 Our instant cameras will bring back those memories and allow you to capture all the great moments at your event. You will be “shaking it” like a Polaroid picture, all night long!  See what the DJ Jukebox and Party O' Clock can do for your event! Our DJ, our sound system, your party. You and your guests choose the songs, our DJ plays them. Guests can create both videos and photos. You choose to make the evening unforgettable. Sometimes it’s the little things. 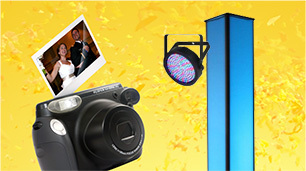 And sometimes it’s a dance light tower and classic instant cameras.